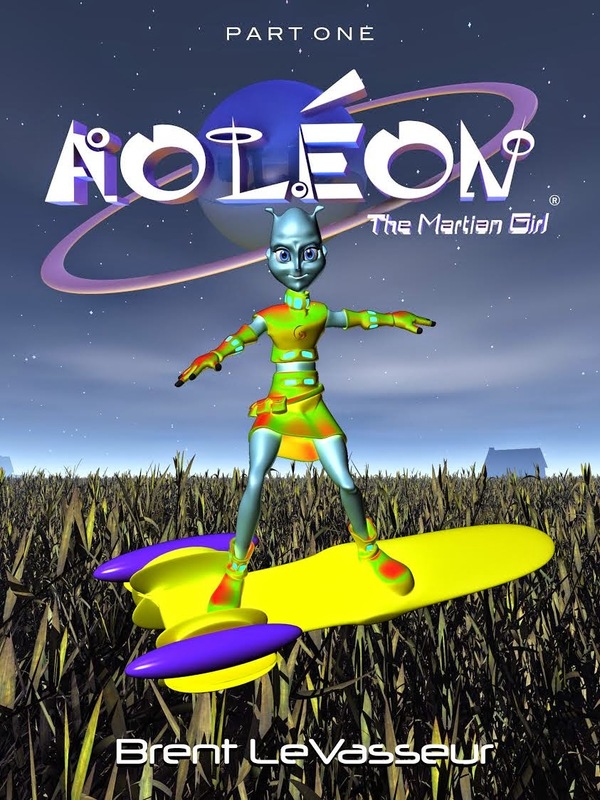 Aoleon – The Martian Girl, is a science fiction novel written for and enjoyed by children. The story has everything in a story you would expect a sci-fi novel about Mars to have. There are your crop circles, the UFO and the blue skinned, antennae headed, large eyed Martian, Aoleon (a word resembling, Alien, for the uninitiated) and the tough sounding science terms. It is enjoyable for those who like science fiction novels. 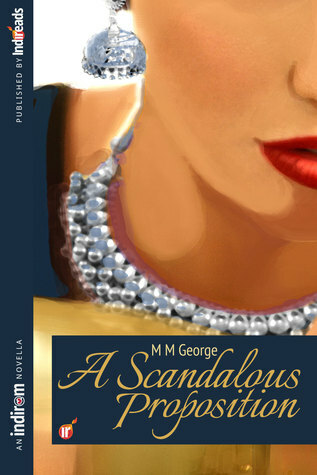 Aoleon is a novel rich in graphics and that is the most notable feature of the novel. Whenever there is a difficult to understand scene, or you just cannot visualise a character just right, there is a picture to help you bring the description to life. From the simple character of Gillian to the Martian, and the crops on earth to the modern Martian city images, these are vivid, 3D and littered throughout the book. A little girl from Mars, Aoleon, takes a high tech spaceship and enters the earth’s orbit, choosing a field in Nebraska, USA to create crop circles in a wheat field. The reasons for why she does that are interesting. Meanwhile, Gillian, a small boy with a troubled house gets repeated dreams of strange lights, Aliens in space suits and when he wakes up from these, he is disoriented and afraid. On seeing the strange lights one more time, he decides to follow the lights. Within minutes, he bumps into Aoleon, and they communicate in English. (Aoleon and her race are advanced enough to learn our language). But soon, another farmer, whose field Aoleon had just ‘vandalised’ chases them and they get into Aoelon’s spaceship (the size of a sports car) to escape. 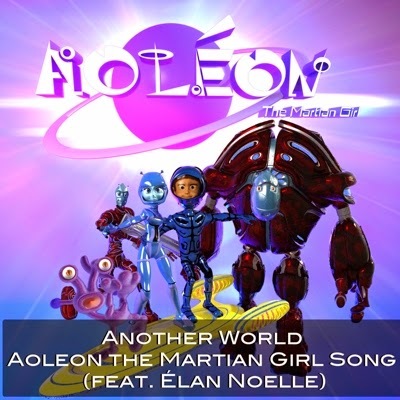 Aoleon takes him out of the earth’s orbit to Mars. They are chased by the USA military in a scene worthy of hi-fi military and spy movies. Evading authority, Aoleon smuggles Gillian into Mars and while she shows him around the place, he notices that Mars is a society dominated by Artificial Intelligence and it has plans to somehow steal all milk bearing cows of the earth and over power us. What happens next? Well, read part 2 of the story, soon to be released. 1. Easily understandable story line. 3. Interestingly worded – words are as good as the graphics used. 3. The fact that absolutely no aircraft from earth or highly trained military professionals can even come near to beating a little girl from Mars. A good read, given the fact that the book was advertised exactly as what it was. Expect a science fiction novel with lot of graphics and everything exactly as you would expect a novel about Martians to have – you won’t be disappointed. HOW I GOT THIS BOOK: Review Copy from Vitasta Publishing. Thank you guys! SUMMARY : A little boy climbs down the stairs and runs out of his house. Most little ones do that. But this little boy has no one to stop him. He does not have a name. He only has the memory of a story his father has told him over and over again, from the time he was just six months old until his dying day, when the child was about four years old. It is the story of his father's love affair with his mother and betrayal. From the streets of Kathmandu, this is the story of a child who names himself Basu Rai, and who travels the corridors of the world, takes part in the Global March against child labour and arrive finally in the country he identifies as his own—India. Though Basu has found his country, his quest for family is not over. His search for identity begins with his book which maps the step by step progress of a reticent toddler from a well-to-do family through being a violent street child and a child labourer returning from the jaws of death several times, to his fights to go to school, being school captain and finally at 26, with the telling of his story in a book. Having worked with children with a horrible history in terms of upbringing, I can associate with Basu's story.Not all street kids who are placed into a rehabilitation center are as successful as Basu is. This is just not yet another story of an abandoned child. This is a rather inspiring tale of an innocence lost to the devils of the this world which certainly needs a bit more of compassion. 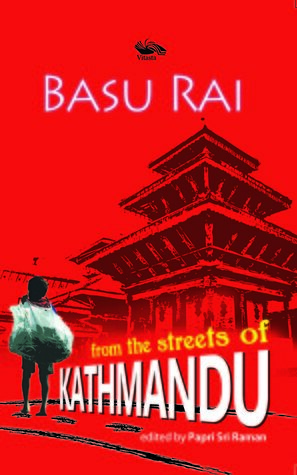 Abandoned by his mother and left homeless after the death of his father, not even knowing his name, 4 year old innocent and sweet looking kid who names himself Basu Rai (after his parents' surname) survives the streets of Kathmandu, travels all over the world to represent kids bonded by labor and finally lands in Delhi. This story is the detailed account of this innocent child whose innocence is lost, thanks to the society. For someone who didn't have a formal education like a normal kid, the writer has come a long way. To put up a novel and narrate a story, be it a tale from imagination or be it an account of life experience, is not an easy task. I would be an oxymoron to point out the flaws of this books - which weren't exactly the unforgivable sort. The narration was captivating to an extent, the slippages can be overlooked owing to a fact that it was conveying a very important message - A first-hand account of a street smart kid who survived the bad bad world. The language as expected was simple and filled with references of Hindi dialect. We do know of the cruelties that a street child is subjected to. Haven't we seen the poor little chai wala boy being bullied by the tea master or haven't we seen the little girl selling coloring books in traffic signals being harassed by commuters. What have we ever done about it? The story asked me that question. I am sure the writer didn't intend for that to happen, but his account of brutality endured by a small kid was so vividly narrated that I felt small in comparison. This book reinforced my sense of gratitude to god that I have a roof over my head, parents who adore me and 3 meals a day. One thing that thoroughly surprised me is a fact that the writer, in spite of being closely associated with the Nobel Peace Prize winner Mr.Kalish Sathyarthi, hasn’t taken one bit advantage of him for the publicity of his book. I guess even the publishers should also be given enough credit for not pushing that angle of publicity! My only disappointment with this book would be the way that the writer ended it. Yes, I do understand the reason why the write might want to provide a luxurious life to children like him, but I feel providing them with education and skills that can make them a successful person is a higher act of morality. VERDICT: Tear Jerker. Must Read. DOT. ABOUT THE AUTHOR: Er……that would point to the summary. HOW I GOT THIS BOOK: Requested a review copy and the writer obliged. Thank you Michelle! Natalia Lanska, formidable Polish pianist, is dead. No one is really sorrowing, except maybe her granddaughter Hania, whose own career as a concert artist never took off due to a terrible weight problem. Feeling unwanted, Hania arrives in Warsaw for the funeral hoping for a warm welcome from her relatives. Instead, they saddle her with their appalling children, decamp, and refuse to return. Hania’s situation is at first improved and then complicated when a neighbor--the very correct, very austere descendant of an old Polish family--asks her to proofread an amateur history project. Hania sets to work with a will, and Pan Doctor Prince Konstanty Radzimoyski is surprised when his ideas get more editing than he bargained for. Typing pages of the past, rediscovering her native city, and playing the piano all contribute to taking Hania’s mind off her problems, but can’t change her awareness that the children need help and that her growing attachment to her employer will only give her pain. 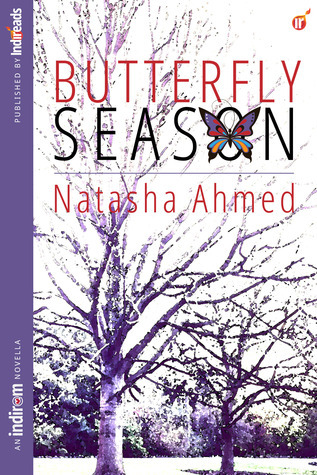 The summer Hania spends between love, hostility, and the weight of history tests her resourcefulness, but her fresh ideas and readiness to carry on brighten the lives of her new acquaintances. Still, no one, least of all Hania herself, expects that her beautiful qualities will make Konstanty forget her figure and other excess baggage. The protagonist, Hania is an "healthy" ex-pianist who arrives in her homeland, Poland to attend the funeral of her Grandmother. Fate has other plans for her for her uncle has left his kids alone in his house thereby forcing Hania to baby sit them. Hania adapts to the situation and takes care of the kids until her uncle returns. Along the way she meets the much eligible bachelor Konstanty who happens to be a doctor by profession. Konstanty is on a project to write some history articles for his sister. He offers Hania the job of editing the articles he wrote for Hania is in search for a temporary job in Warsaw to keep her occupied. They find love in-spite of Hania's Excess Baggage. The writer taught me a good bit of Poland's history and architecture through Konstanty's history articles. It is apparent that the writer has done a good research. The whole Hania-Konstanty's courtship was written beautifully. It is very heart warming to read a tale where a man actually falls for a woman for her heart and intellect. Beauty plays more than a vital role in relationship, to look beyond beauty it takes immense maturity.The writer managed to drive home this point. The characterization was bang on. I loved Hania's characterization. In Spite of being overweight and clumsy she is confident in subtle ways and handles offensive comments patiently. Her character is an inspiration to people with low self esteem. The other thing that Hania taught me was patience. I don't think I would be as patient as Hania when she handled those kids. The narration was perfect with an equal balance of emotions. The one thing that I loved was the wry humor.Not many writers attempt that owing to its very nature, but this writer managed to get it right. There are a couple of things that could have been handled better - The history articles and Teen pregnancy. The history articles sort of pulled down the narration midway. They could have been accompanied by pictures or may be could have been written in a better way. Teen pregnancy is a rather sensitive issue that needs to be handled with care. They is a huge scope for emotional maneuvering. I felt the writer didn't make good use of that ground. A epilogue in the end continuing the subtle romance between Hania and Konstanty could have worked wonders. 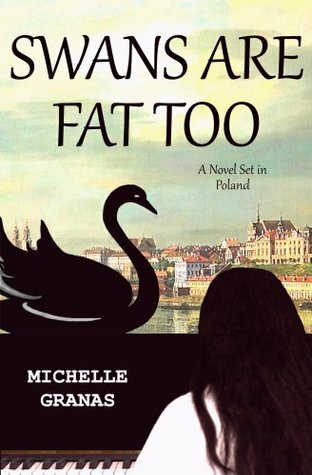 ABOUT THE AUTHOR: Michelle Granas was born in Alaska and lives in Warsaw. In addition to writing novels, she works as a translator, including for UN and EU bodies, past and current presidents and prime ministers, and various Nobel nominees. She is happy to receive friend requests or correspondence.